One of our recent blog posts covered some strange Los Angeles DUI stories, and today’s tale isn’t any less bizarre. 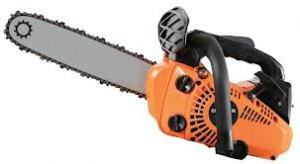 On February 17th, an Australian man presented at a local hospital with a deep chainsaw wound that he had allegedly caused himself. After accidentally cutting his hand with a chainsaw, Timothy Woodrow stitched the wound at home and doused it in gin before taking a few swigs for the pain. He attempted to drive himself to the hospital while intoxicated. Police pulled him over for neglecting to stop at a stop sign. When they tested Woodrow’s BAC, they found he was significantly over the legal limit and arrested him. What makes strange errors of judgment so frequent with DUI cases? New research into alcohol’s effect on the brain indicates that the same reaction that causes impaired judgment is also responsible for slowing the brain’s “alarm signal” response. This response alerts other parts of the brain that something is wrong. Researchers measured participants’ moods, perception, and accuracy while performing computer tasks under the influence. Results showed that the affected participants made little effort to correct or avoid errors. The researchers found that alcohol’s influence on the brain doesn’t actually reduce its ability to recognize mistakes, but instead affects the ability to care about them. Participants in the study simply didn’t feel bothered by the mistakes they knew they were making. Perhaps this is why people sometimes find themselves apologizing to friends the morning after a night of drinking. This may give some insight into why people insist on driving when they know they’ve had too much to drink. An individual may recognize that driving would be a mistake, but he or she feels confident that “everything will be fine” and gets behind the wheel anyway. If you made a mistake, and police arrested you for a DUI, seek experienced counsel to respond to your charges. Call a qualified Los Angeles DUI lawyer with the Kraut Law Group today to schedule a free consultation.